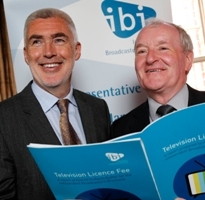 Fine Gael TD for Sligo – Leitrim, Tony McLoughlin has hit out at the levy on local radio with a call for an urgent discussion on the definition of public service broadcasting and payment of 2% of licence fees to RTÉ. “I believe that it is time for us to have a serious and a meaningful conversation about the definition of public service broadcasting in this country,” he said. “The fact that local radio stations like Ocean FM, who undoubtedly play a role in public service broadcasting, must pay a 2% levy on all of their turnover, while RTÉ benefit from the national licence fee, is in my eyes, very unfair. “Public service broadcasting is, in my opinion, provided not only by the national broadcaster RTÉ, it is also provided by independent local stations like Ocean. These stations broadcast news and public affiars programmes that are of interest to the public and fall within the remit of public service broadcasting. Deputy McLoughlin said that while he appreciated the high quality programming RTÉ produces, he believes “this monopoly-like treatment does a major disservice to these local stations. “We must level the playing pitch and address this issue without delay, as many stations are struggling financially. “I understand that the Minister for Communications, Alex White has called for a debate on the local radio levy but I believe that this must happen sooner rather than later. “It is ridiculous to learn that local radio stations are providing a high quality service and receiving nothing in return. Stations nationally are campaigning for a change in the Broadcasting Act. They have warned that the levy on local radio could lead to a loss of jobs in the sector.